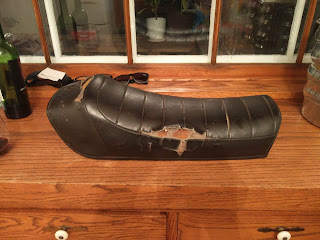 Redid a Puch Magnum seat for a friend. 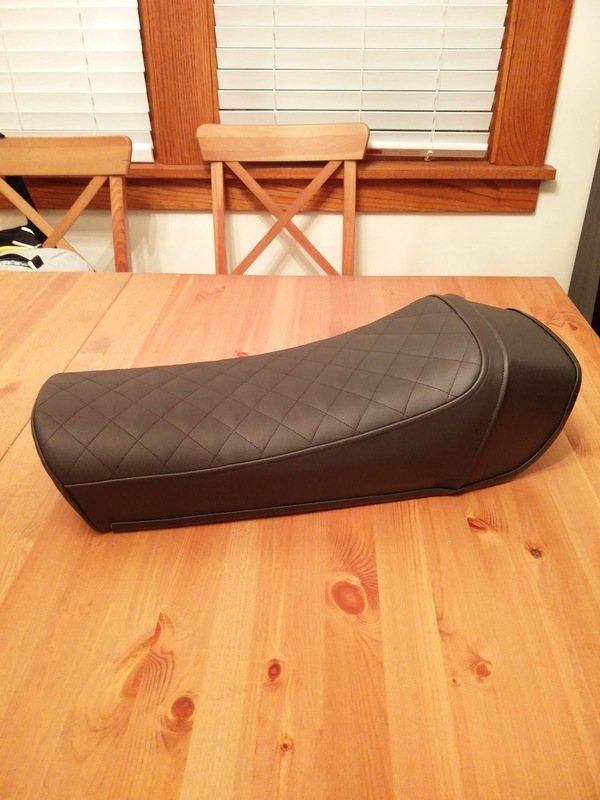 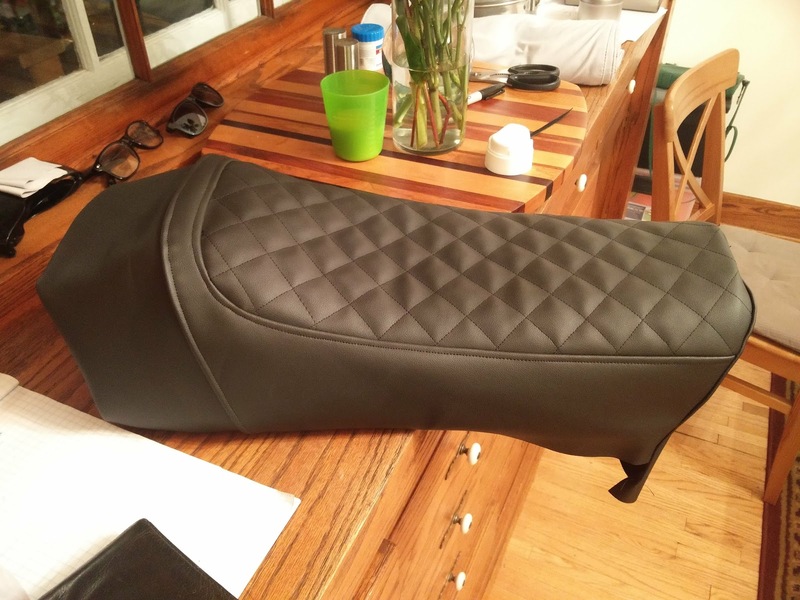 Used the old seat cover as a template. 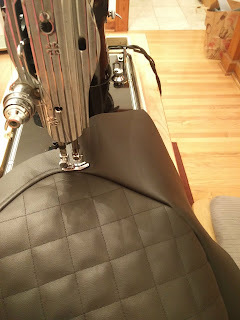 I used rivets and trim to attach the seat cover to the seat pan.